The Ketogenic Diet (aka Keto) is one of the most popular diets being followed right now. For some it is a passing fad, but for others it is life-changing. So what exactly is the Keto diet??? It is an approach to eating that uses high-fat, moderate protein and very low carbohydrates to fuel the body. This approach is in contrast to the way that many of us eat which is very high-carb, high protein and unhealthy fats. By eating the Keto way, our bodies shift from burning glucose as fuel to burning ketones or fat (ketosis). Some experts are suggesting that by burning ketones for fuel, our bodies have a chance to balance blood sugar, balance hormones and reduce inflammation. Many people who have followed the Keto diet have reported weight-loss, increased energy, reduced hunger, increase mental focus and better sleep. This discussion will highlight a new book on the Ketogenic diet by Dr. Josh Axe. So……..what exactly should you eat on a Ketogenic diet??? There are many different interpretations of this diet leading many to believe that you can eat any fatty food, a modest amount of protein and avoid all carbohydrates and you should be good to go. Unfortunately, this version of the diet is not the most beneficial or the healthiest approach to achieving ketosis. In his book Keto Diet, Dr. Josh Axe approaches this diet in simple and practical ways. He provides an overview of the Keto diet and suggests a number of approaches to achieving ketosis along with the intended health benefits. He has shopping lists, meal plans and recipes for a 30-day kick-start and progresses to Keto-cycling as a long-term option. He highlights his top 25 recommended “Keto” foods www.draxe.com/keto-diet-food-lists and includes several supplements www.draxe.com/keto-diet-supplements and their benefits as options to maximize the benefits of the Keto diet. He also provides great discussion on the use of this diet for many known health conditions such as diabetes, arthritis, lupus and even cancer. This book provides comprehensive coverage of the Ketogenic diet and provides user-friendly guidelines to help beginners get started. Dr. Axe steadfastly believes that food is medicine and this book supports his true commitment to the role of functional medicine and health. Other Names for Wheat, Soy and Corn. If you have visited a grocery store recently, it’s impossible ignore the vast number of food products that are available to us. Along with fruits, vegetables, meat, eggs and dairy there are aisles of packaged foods available for us to buy. The world of packaged/processed foods has grown exponentially in the past 30 years and with that growth brings the complexity of decoding food labels. Food labels provide grocery consumers with information regarding nutritional facts (calories, fat grams, sugar grams etc. ), ingredient lists and potential allergens that may per present in that food. This label information is particularly necessary for consumers with food allergies or food sensitivities. Knowing the ingredients that are present in packaged or processed foods can reduce the potential for adverse reactions to food. For some people, these reactions can be headaches, stomach upset or rashes but for others they can be more severe like breathing difficulties, hives or anaphylaxis. The problem with reading food labels is that food allergens are often disguised by other names confusing us even more! Wheat, corn and soy are 3 foods that have hundreds of derivatives and thousands of other names. Shopper Beware!! Wheat, corn and soy appear frequently as ingredients in thousands of packaged and processed foods. Often times, they are listed in their natural form or can be listed under ‘other names’ that we don’t recognize. For example; other names for wheat include bulgur, farro, semolina, graham, gluten, malt and rye and there are hundreds more. Corn is also present in thousands of processed and packaged foods and often appears under names other than ‘corn’. Maltodextrin, fructose, and sorbitol all come from corn and yet their names do not contain the word ‘corn’ at all. Finally, soy is found in many common foods under names like ‘tamari, soy lecithin, HVP (hydrolyzed vegetable protein), tofu and vegetable starch. Derivatives of wheat, corn and soy can be problematic for many people. Policing these ingredients in foods can seem like a full-time job for those individuals. There are several good resources available that provided lists foods that contain wheat, corn or soy. Check out the links below for further information. We Are Already Sweet Enough! We are addicted to sugar. Given current statistics on heart disease, diabetes, obesity and fatty liver, the evidence for this is abundantly clear. The prevalence of these diseases, particularly in the last 25 years can be traced to our increased consumption of one simple ingredient: sugar. Currently, the average American consumes around 57 pounds of added sugar each year!! This is unbelievable. Sadly, it is our children that will suffer the greatest health consequences due to this epidemic as the foods and beverages that they consume daily are saturated with sugar. I was curious to learn about history of our sugar addiction and came across a book called; A Case Against Sugar. I have chosen to highlight the book The Case Against Sugar written by science journalist Gary Taubes. The Case Against Sugar provides a comprehensive look into the history, geography, production and consumption of sugar since data has been gathered on the subject. Our dependent relationship with sugar began at least 10000 years ago likely with the accidental chewing of a stalk of sugar cane. Since then, sugar has made a consistently strong appearance in our food sources. Sugar evolved from the simplest of forms (raw sugar cane), to now being camouflaged in foods and beverages under the guise of at least 61 different names such as fructose or dextrin, with many of these forms created in food science labs. This book provides an in-depth look into the domestication of sugar cane and the multitude of uses of sugar that has resulted in society’s dependence on it. Gary Taubes exposes covert ways in which government agencies as well as policies regarding regulation of sugar in food have been manipulated by big food companies. He also acknowledges the unsettling truth that at different times in history, noted health experts have endorsed the ‘health benefits’ of sugar and enthusiastically encouraged its consumption. Truly, by reading this book you will discover that our dependence on sugar is no accident, by rather a calculated manipulation by scientists, food and beverage companies and health experts to cloud our views on the dangers of sugar consumption. If you have any concerns about your own consumption of sugar and how it can negatively affect your health, you must read this book! An important part of our philosophy here at Woodlands Wellness & Cosmetic Center is to educate our guests on health and wellness and to provide them with as many resources as possible. We often come across, books, websites, seminars and podcasts that are related to topics that we discuss with our guests and make recommendations for these resources on a case by case basis. I thought that it may be useful to highlight a number of books that have relevance to our practice and that may be helpful to many of our guests seeking further information on the relationship between diet and wellness. I am excited to provide a short blog post on the newest book by best-selling author Danielle Walker called ‘Eat What You Love’. Danielle Walker knows first-hand the connection between food and health. After years of failures with medical treatments for an auto-immune disease and failing health in her 20’s, she completely changed her diet as a last resort. Soon after adopting a grain-free, dairy-free eating plan, she noticed significant improvements in her health. She wanted to share what she had learned on her journey to better health with others who may be struggling and saw cookbooks as the way to pass along her wisdom. ‘Eat What You Love’ features many recipes that we all want to eat but have had to give up because of ingredients that negatively affect our health. This grain and dairy-free cookbook focuses on using healthy whole-food ingredients in place of traditional wheat/corn/rice and grains as well as non-dairy substitutions for traditional cow’s milk dairy foods. She has taken classics like Shepherd’s Pie, Chicken Nuggets, Fried Rice, Chocolate Donut’s and many more recipes and converted them into grain-free and dairy-free versions that are easy to prepare and full of flavor. Danielle is a master at prepping and planning meals and provides a 4 week meal plan with a link to printable grocery lists from her website: againstallgrain.com. ‘Eat What You Love’ offers recipes for slow-cooker, insta-pot and sheet-pan meals that will be easy to include in any busy household. And, don’t be afraid of ingredients that you may not recognize, they are all readily available in most grocery stores! If you are new to grain-free eating, you definitely want to check out her first book called ‘Against All Grain’. This book will ease you into a grain-free lifestyle and simplify recipes while using whole-food, healthy ingredients. Stayed tuned for future posts on Danielle’s other great cookbooks. With the holidays just around the corner we thought everyone could use one more blog this month! It is so hard to avoid all those holiday candies, cookies,cakes and spirits. We put together 5 tips to help you thru the holiday season to avoid gaining weight. nuts or vegetables and protein. snack but bringing something to the party as well. Are The Foods You Are Eating Making You Sick? Do you ever feel like you have physical or emotional symptoms that don’t seem to make sense? Many times I will hear stories from people who have been living with chronic headaches, joint pain, fatigue, bloating, rashes, sinus drainage and many other symptoms for several years but can’t seem to figure out their causes. Too often, stress and the environment take the blame for these symptoms and we are expected to ‘live with them’! We are exhausted by medical appointments and dissatisfied with conventional treatments including expensive medications that have not solved a thing. But what about food? Doesn’t it make sense that what we put into our bodies should have an effect on how we feel? The foods we eat can be responsible for many different types of reactions. The 2 most common food-related reactions are food allergies and food sensitivities. Food allergies are the response of our immune systems to a specific protein that results in the creation of antibodies. The body’s reaction to these antibodies can range from hives, itching, headaches and rashes to more severe reactions like wheezing, breathing difficulties, throat swelling (anaphylaxis) and even death. The 8 most common foods that people are allergic to are: peanuts, wheat, eggs, fish, shellfish, tree-nuts, milk and soy. Of course there are other foods that people are allergic to but these account for over 85% of food allergies. Food allergies can be mild to severe and should be taken seriously and allergens should be strictly avoided. The other, more common type of reaction that food can cause is called food sensitivity. These reactions originate in our GI systems after we ingest foods that we are sensitive to. We can experience immediate stomach discomfort or bloating or develop headaches, sinus drainage, joint pain or rashes several hours after eating that food, at any rate, they don’t make us feel good. These types of reactions typically come from inflammation. If we unknowingly consume foods that we are sensitive to we continue to ‘feed’ inflammation in our bodies which prevents us from resolving the symptoms. In extreme cases, eating the wrong foods for a prolonged period of time can result in something called ‘Leaky Gut’. This is where the space between the cells in our guts become weak and lets particles of undigested food escape into our bloodstreams creating an inflammatory response. This inflammation can result in headaches, joint pain, fatigue many other symptoms, also not ideal for a happy existence! So, how do we know which foods we are sensitive too? Fortunately, there are many tests that can help us pinpoint food allergies and food sensitivities. Here at WWCC, we have both food allergy and sensitivity testing for adults and children as well as genetic testing that can help us counsel you on which foods you should be avoiding. So if you have tried everything to cure your symptoms, but haven’t yet considered food allergies/sensitivities, the solution may be as simple as what you are eating. Book an appointment with us today and learn more about how foods are affecting your health. Scheduled Eating – Is It For You? Some of us have heard the saying “Eat breakfast like a king, lunch like a prince and dinner like a pauper”. However, few of us give much thought to our eating routines or to the specific amounts of food we consume at each meal. These days, we eat for a variety of reasons, hunger, habit, stress, emotions, medical conditions and the list goes on. It has not always been this way. Our ancestors eating patterns were regulated strictly by supply and demand. When food was plentiful they ate in preparation for when food was scarce. When there was no food, they survived on their own fat reserves for energy for long periods of time…….and survived. Maybe we have it wrong? Do we really need 3 meals a day? Should we top-load our intake of food at breakfast and scale it down to a much smaller meal at dinner? Should there be a cut-off time when we stop eating and give our bodies time to recover and repair? All of these questions point us in the direction of more mindful eating. You may have heard the term ‘Intermittent Fasting’. It’s a hot topic right now, not only in popular culture, but within the medical community. Intermittent fasting has been described as an eating pattern where you eat and fast for a defined period of time or where daily calories are consumed within a set window of time. This eating style can be beneficial for a number of reasons. Recent research on intermittent fasting has found that when people restrict their hours of eating, their insulin sensitivity increases, which in turn improves blood sugar regulation. By giving our bodies a rest from the constant output of insulin, we can rely on other fuel sources (stored fat) for energy. For those cruising toward Type 2 diabetes, intermittent fasting can be a game changer. Other reported benefits include weight-loss, reduced inflammation and decreased risk for cardiovascular disease. One note of caution; to date most of the research on intermittent fasting has been with over-weight or obese individuals. More research is needed on the benefits of intermittent fasting and normal weight individuals. How do you know intermittent fasting is for you? As with any new exercise or diet, it is important to consult your physician before considering intermittent fasting. Persons with hypoglycemia, Type 1 diabetes, pregnant women or those planning on becoming pregnant and athletes may not be candidates and should not try intermittent fasting without consulting a health practitioner. Fortunately, intermittent fasting is considered more of a lifestyle than a diet so it may be something that could work for you! Are You a Hunter and a Gatherer? Modern day eating looks very different from a thousand years ago. Our ancestors spent the better part of their days looking for food, cleaning/preparing/cooking their food and purposing all parts of that food (skin, bones, meat, stalks, leaves and roots) as a vital part of their existence. When we think of sourcing food today, for some of us, it’s as easy as the ‘click’ of a mouse. We are ordering groceries, meal kits, juices, takeout and snacks online. Strangers are shopping for us, packaging our food and delivering it to our door, whew, I’m tired just thinking about it!!! Yes, I understand that our lives are busy…….but have we become disconnected from where our food is coming from??? It saddens me to think that for most of our children, their experience with food will be narrowed to a drive-through, a phone app or the ring of the doorbell. It is vital that our children understand the connection between food and health. We have witnessed the exit of comprehensive health education from our schools, therefore, as their parents we must provide them with solid information on sourcing and eating healthy food for life. The solution is simple: Take your child to the grocery store, farmers market, a farm or a community garden. Teach them how to balance a healthy plate. Let them pick vegetables and fruits that they are interested in and encourage them to try ones that they haven’t tried before. Exposure is key! Be a good example to your children and get ‘hands-on’ with preparing food in your own kitchen. If they see you eating and enjoying healthy food, they will be empowered to try new things and eat what you are eating. Lastly, remember the most important rule about eating healthy: choose foods that come from the trees, the land and the sea and you will closer to your ancestors than you have ever been! Upon my first consultation at Woodlands Wellness I met with a real live doctor! Dr. Sakina Davis, who is also an author, spoke to me about different procedures that would work for my new mom bod and was very honest about what wouldn’t work. I love for people to keep it real with me and that she did! After my consult with the doctor I met BJ, a certified laser hair technician and licensed esthetician who knows her stuff! 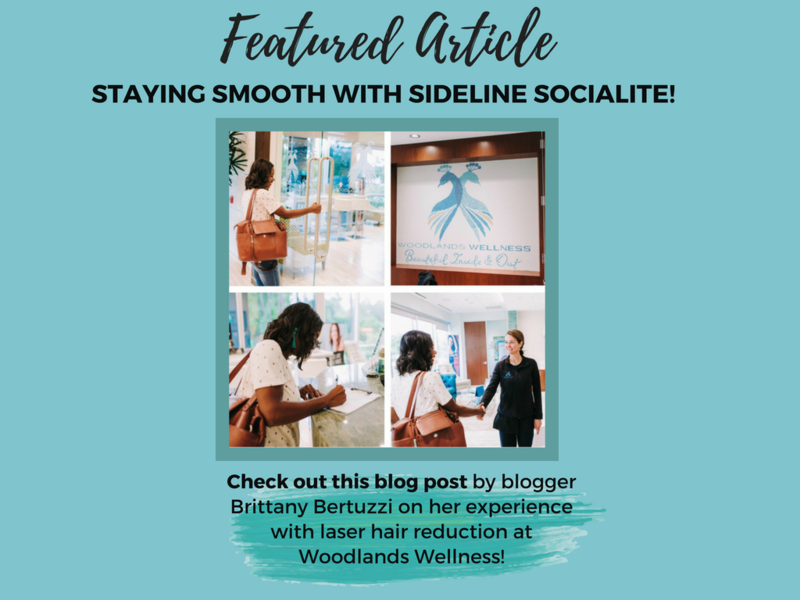 She was able to speak to me about advancements in laser hair removal as well as speak specifically to my skin and hair type. Skip the Screen this Summer! Noted psychologist and parenting advice expert Dr. Michele Borba reminds us that summertime is a great time to place boundaries on screen time for children and parents too! Here’s how to do it! Have a conversation about ‘screen-time’ boundaries before summer begins and be clear that the rules apply to everyone including parents/caregivers. By providing an example for children, it reinforces the message you are trying to send. Contract with your children a ‘maximum’ number of allowable screen hours they can have per day. Keep a time diary each time the TV is turned on and turn it off if they exceed their allowed screen hours. Pull the plug on the bedroom TV. Research shows that kids that have televisions in their bedrooms limit their social interaction, spend less time studying and being active and are more distracted when doing homework and reading. Make your kids accountable for their screen time by signing in/out when the watch television or play video games. A great way to monitor time is by using an inexpensive kitchen timer that the kids can set themselves. This way they are actively participating in monitoring their own screen time. Have the kids sign-up for the shows that they want to watch and help them keep within their screen time allowance. No mindless channel surfing!! Turn of the TV when nobody is watching it. Provide a landing station (basket or drawer) where electronics can rest when kids are doing other activities. - Teach your children that they don’t need to fill up every minute of every day doing something stimulating. Start a summer book club in your house and have your child keep track of the books that they read. If your child can read on their own, they can keep track on a white board and maybe work toward a reward after they have read a certain number of books. If your children can’t read on their own, if you are able, set aside time in the middle of the day and read to your child. - Puzzles are a great way to relax and build motor skills in young children. Set aside space on a table where your child can work on puzzles and for older children, leave larger puzzles in progress so that they can be worked on over a period of time. - Swap a friend for a playdate. Kids like seeing their friends daily at school every day but over the summer they tend not to see each other as often. Invite a friend over one week and trade with that friend to play at their house the next time. - Some parents/caregivers find it useful to create “activity boxes” as alternatives for watching tv. Use empty shoeboxes or other cardboard boxes and fill them up with inexpensive themed materials that can create an Art Box, Craft Box, Science Box, or Kitchen Box to name a few. - Plan some fun kitchen time where your kids can participate in making lunch or dinner. Kids love to measure, pour, count things and play in water. For the younger kids, push a chair in front of the kitchen sink and fill it with water and bubbles, the kids will love playing in water and you can get things done at the same time. Adding some fun music to this activity is another great way to teach your kids how to have fun without screens. - Pull out a board game or a card game and teach your child how to play. Once they master the game they can play with each other or with friends. The same is true for word games or puzzles. Purchase a few age-appropriate puzzle books and let your kids work through them together. - Don’t forget about exercise. Getting kids moving when at home is not that difficult. Gather up a few balls of different sizes, some jump ropes, hula hoops, beanbags etc. and the game possibilities are endless. So, be your child’s best example - take charge of your screens this summer and find other ways to have fun with your kids! When it comes to eating healthy, summer can be both a blessing and a curse! Kids are out of school, friends and family come to visit and vacations abound. For some of us, it means long car trips, beach vacations or travel abroad. We often find ourselves in need of food in unfamiliar or inconvenient circumstances. Often times, hunger and lack of planning results in making impulsive, unhealthy food choices. Remember how easy it is to eat a whole bag of chips or popcorn without even realizing it? For some of us, time spent traveling can result in hours of mindless eating followed by hours of regret. However, with a little planning and preparation, making healthy choices when traveling can be effortless. When traveling or a train or an airplane, always plan for the worst, food wise, that is! Pack a variety of non-perishable snacks including fruits and veggies, crackers, cheese, protein bars and nut butter. These foods will definitely come in handy on a long flight or in case of a travel delay. Oranges, apples and bananas are naturally pre-wrapped and can easily be placed in a carry-on bag. For the little ones, pre-cut apples make a great snack along with individual packs of peanut butter or almond butter. Packing cut-up fruit in zip-top bags makes transport easy and provides quick clean-up when finished. Don’t forget about dried fruit as a portable option when traveling. Dried apples, apricots, pineapple, mangos and other fruits provide a quick bite of natural sweet without any added sugar. Mixing dried fruit with nuts and seed is another healthy snack option for traveling. Remember to pick non-GMO or organic when buying both fresh and dried fruits, nuts and seeds. There are many vegetables that also travel well. Radishes, celery, carrots, bell peppers and cucumbers are just a few vegetables that work very well when traveling. They are easy to prep ahead and store in the refrigerator ready to throw into carry-on bags during last-minute packing. As an extra bonus, foods like salad dressings, nut butter, hummus, dried fruits and nuts are all available in travel-sized packages. If you don’t find these in-store, be sure to check online. A couple of my favorites are Tessemae’s salad dressings https://www.tessemaes.com/collections/pouches/dressings and Kirkland organic hummus singles https://www.costcobusinessdelivery.com/Kirkland-Signature-Organic-Hummus-Singles. Traveling by car allows us better access to healthy food if we plan ahead. Packing a small cooler with water, fruits, vegetables and some of the foods that were listed earlier in this post makes snacking healthy and easy. Remember to keep the cooler in the car rather than the trunk for quick access to food and drinks. Using your own water bottle for all forms of travel is a great way to stay hydrated, use less plastic and fill up on a healthy beverage rather that soda or juices. Using phone apps (Yelp, Around Me) to locate healthy food options while on the road is another strategy that helps you make better choices when picking restaurants and planning meal stops. If faced with an unexpected stop at a gas station or mini-mart, stick to making whole foods purchases as most places with have fresh fruit, veggie and nut options. If you are traveling with children, allow them one ‘splurge’ item, providing healthy snack options for the rest of the trip. A word of caution regarding protein bars. These bars are marketed as a healthy convenience food option. I do love that fact that they are portable food options for travel but; BUYER BEWARE. The majority of protein/power bars on the market contain 2-3 times the amount of sugar to protein. Along with ridiculous amounts of sugar, these ‘supposed’ healthy bars also contain long lists of artificial ingredients, preservatives and GMO additives. So do your homework when buying these bars and read the label before putting them in your basket- aim for whole food ingredients(nuts, seeds, oats), natural sweeteners (dates, maple syrup and molasses) and a short list of non-GMO ingredients that you can recognize! So….now that you have some quick and easy tips for travel snacking, enjoy eating healthier whether you are in the air on the road! Is Tap Water Enough to Quench Your Thirst? We all know that water is essential to life. Our bodies are made up of over 65% water and without a constant supply of it, we will die. Most of us get our daily requirement of water by either drinking it alone, or by consuming beverages and foods that have water as one if their ingredients. Lately, there has been a lot of discussion on the benefits of alkaline water. Alkaline water is the opposite of acidic water in that its pH is over 7. The normal pH of tap water is around 7. Alkaline water is higher in such minerals as calcium, magnesium, silica, potassium, and bicarbonate. All of these minerals combined will increase the alkalinity of water and as a result lower the acidity in our bodies. In most commercial brand of alkaline water, there minerals are added to filtered water in varying amounts. Why do we want to lower the acidity in our bodies you ask? Many experts feel that the Standard American Diet puts our bodies in ‘low acidotic state’ and disrupts our overall pH balance. Many claim that by drinking alkaline water, we are assisting our body’s ability to buffer acid and maintain a more desired neutral pH. Does this mean that all of us should be drinking alkaline water? Maybe not. To date, there is little scientific evidence supporting the regular use of alkaline water for most people. In fact, for people that have compromised kidney function or are taking medications that are supporting kidney function, alkaline water may do more harm than good. Excess minerals can predispose some people to calcifications and make it more difficult for our bodies to clear them through our kidneys. There is limited research on the benefits of alkaline water for endurance athletes. Intense exercise creates a surplus of ions in the body which results in a more acidic body pH, causing fatigue. Use of alkaline water for these athletes has shown in increase in the body’s ability to buffer the acids and therefore increase performance and speed up recovery. As a side note, it is important to remember that bottled water of any kind poses its own set of health concerns. The most noted would be the plastic in which most bottled water is contained. BPA is an ingredient that is present in many brands of bottled water. When exposed to heat (on the truck, in your car etc. ), BPA degrades and produces a faux estrogen. This by-product has the potential for hormone disruption, inflammation, toxicity, fertility/reproductive issues and other negative health effects. Ideally, we should all strive to limit our use of bottled water. For most of us, tap water should be enough. If you want to go one step further, add a good quality water filter to your home water supply to catch other toxins that may be present. Cleanses: Do they really make you “cleaner”? These days we are bombarded with advertising about cleanses! Everywhere you look you see headlines about our bodies being full of toxins from chemicals, foods, the environment drugs and many other sources. It seems as though our only solution for this is to do a cleanse. Many of us get lured into this million-dollar market by promises of weight-loss, glowing skin, cleaner colons and increased energy. Juice cleanses, colon cleanses, liquid cleanses, liver cleanses, is one really better than the other?? Several health experts are in agreement that cleanses may provide initial improvements in certain conditions or health problems, but that they are not meant to sustain us long-term. For example, with a juice cleanse, (which are between 3 and 5 days), you consume concentrated amounts of fruits and vegetables and the nutrients they provide. However, these juices are often lacking in other key nutrients (protein, fat, calories and fiber) that are also necessary for optimal body performance. Another important consideration is that these cleanses are often between 800-1200 calories which are low totals for most people. Finally, the fruit component of juice cleanses can make these drinks carb-dense and high in natural sugars resulting in unstable blood sugar and hunger. When considering a colon cleanse, remember that our guts are naturally full of ‘good bacteria’ and that by aggressively flushing them out, we are interfering with our bodies natural defense system. Liver cleanses are also popular and often involve supplements, shakes and 2 weeks to complete! The options seem endless but the results are often the same: short-term improvement in health and a rapid return to bad eating habits. As overwhelming as all this may seem, the facts are fairly simple. Cleanses may provide short-term reprieve from an over-taxed digestive system, or a break from a diet laden with sugar and processed foods. Cleanses are a good “kick-start” to break bad habits or to eliminate unhealthy foods from your diet but committing to healthier eating everyday will provide lasting benefits to your health. So, enjoy eating your way towards better health and naturally ‘cleansing’ your body every day! What is your favorite skin-care product? Do you have a specific skin-care routine that you follow? Are you doing everything you can to protect your skin? Do you spend a small fortune on skin care products? Some of us swear by a particular cream or serum, others embrace a specific cleanser or toner but, I wonder how many of us would include certain foods as our favorite ‘skin-care product’? It is widely known that what we put inside of our bodies, greatly reflects how our skin looks and ages. Dr. Jessica Wu, a Los Angeles based dermatologist suggests in her book “Feed Your Face”, that our diets are as important in preserving and protecting our skin as topical products and treatments. When you look at how foods can affect hormones, inflammation, acne and energy, we should be investing as much time eating skin-boosting foods as we do sourcing other forms of skin care. One other important consideration when looking at supporting healthy skin, is our gut health. We absorb all nutrients from food through of the lining of our gut and if that lining is compromised in any way (tor read more about Leaky Gut click on this link): https://chriskresser.com/the-gut-skin-connection-how-altered-gut-function-affects-the-skin/ the nutrients are not beneficial. Unhealthy gut equals sub-optimal skin health. Knowing all of this we must put more stock in ‘we are what we eat’! Olive Oil is high in anti-oxidants and plays a key role in neutralizing ‘free-radicals’, lowering inflammation and repairing skin damage. Tomatoes (this one surprised me too) contain a phytonutrient called lycopene which combined with olive oil provides our skin extra-protection against sunburn and sun damage. Eating cooked tomato products will increase the concentration of lycopene compared to eating raw tomato products. Remember that daily sunscreen is still recommended! Green Tea contains natural antioxidants that boost blood flow and oxygen to the skin. The ingredients in green tea help increase the smooth appearance of your skin. Kale is labeled a ‘super-food’ for many reasons, but did you know that eating kale helps fight free-radicals (damage causing cells) we get from exposure to UV rays? Kale is packed with lutein and zeaxanthin which are key in reducing skin damage caused by the sun. Just 1 cup per day gives us our daily dose of these great anti-aging phytonutrients. Walnuts are ‘nutty’ powerhouses full of ALA (a plant-based omega 3). They help fight inflammation and damage to our skin cells. A word about water. Although not considered a food, adequate consumption of water is essential for skin health. Our skin is made up of millions of cells and for proper functioning those cells needs a constant supply of water. Also, our bodies rely on adequate amounts of water to detoxify and filter impurities which helps keep a balanced environment for our skin and our other organs. Final word about healthy skin: Next time you reach for an expensive skin-care product, stop and consider investing that money in nutrient-dense foods that promote skin health. You won’t be sorry and you might even walk away with money in your pocket!! 90 % of women have at least 1 risk factor for heart attack or stroke. 80 % of heart disease may be preventable by lifestyle and education. Women often ignore the initial signs of a heart attack until they become severe. Get active. Daily exercise is key to maintaining a healthy heart, walking, biking and yoga are all inexpensive activities that you can do from home. Monitor your cholesterol levels. Having an annual physical health exam with blood testing to check cholesterol levels is important. Lowering your LDL cholesterol can decrease your risk for heart disease. Manage your blood pressure. Keeping your blood pressure within normal limits can decrease the stress on your heart and arteries. Maintain a healthy weight. Obesity and being overweight are both contributors to cardiovascular disease and stroke. Even losing 5-10 lbs. can greatly decrease the stress on your heart. Reduce sugar consumption. Ditch those sugary drinks and processed foods and watch your health improve. Preventing diabetes can lengthen your life and decrease your risk for heart attack and stroke. Cooking “Off” the New Year Right! What better way to ring in the New Year than committing to eating a healthier diet. There is a growing body of research on healthy eating habits that supports what we already know: the more meals we prepare and consume at home, the healthier most of us are. That being said, for many of us, the task of shopping, planning, prepping and cooking most meals at home is more than we can handle! Fortunately, we have access to many resources that can lighten the ‘kitchen workload’ and still allow us to eat healthy. Meal Prep websites, books and blogs are easy to access and many times free. Depending on your approach to healthy eating (low-sugar, Whole 30, Paleo or Vegetarian) there is an abundance of solid information to assist with grocery lists, preparation tips, meal plans and recipes. Many grocery stores are now offering online ordering and curbside pick-up as a convenient option for weekly grocery shopping. This service can still support healthy eating and preparing more meals at home but will save you time by not having to shop yourself. Meal Kit delivery services are another way to home-cook healthy meals with the added convenience of most of the food prep done by the company. Many of these meal-kit companies offer a variety of meal plan options. Paleo, Low Carb, Gluten-Free, Vegan and Vegetarian are just a few of the specialty diets that you can order online and have delivered. One of the great things about these kits is that even beginner cooker can navigate the recipes and most meals are ready in 30 minutes or less. Sun Basket is one of my favorites as it is organic and reasonably priced and has options for 1, 2 or 4 people per meal. See below for links to the most popular meal-kit services. So, make 2018 your year to be well. I challenge all of you to eat more meals at home, embrace taking control of your health and don’t be afraid to try new things. Who knows, you might like it!!! !.............oh, and don’t forget to use your slow-cooker or your Instant Pot, it’s a game changer! For most of us, summer has barely ended and we are shifting our entertaining energies into ‘holiday mode’!! Everywhere we go it seems like we are surrounded by fall décor, fall recipes, holiday colors, and aromas. We are often consumed by looming threats of Thanksgiving preparations and overindulgence! The pressure of it all can take a stressful toll on us and systematically rob us of any enjoyment…….unless we keep it simple. Finding a balance between hosting family and friends is the key to enjoying the holidays ourselves. -keep ingredients for a few simple recipes in your pantry, fridge and freezer. This makes for stress-free cooking for planned events or unexpected guests. -frozen puff-pastry or pie dough can save time and can be used in breakfast dishes or appetizers with the addition of a few simple pantry ingredients. -have a selection of sparkling water, seltzer, red and white wine on hand for unexpected drop-in guests. -try setting the table the day before a family dinner including platters that will be used for serving so that you know how much table room that you have and can make changes as needed. -accept offers by others to bring food/drink to the event. People hate arriving empty-handed and this will help you out too! -remember to use your crockpot! 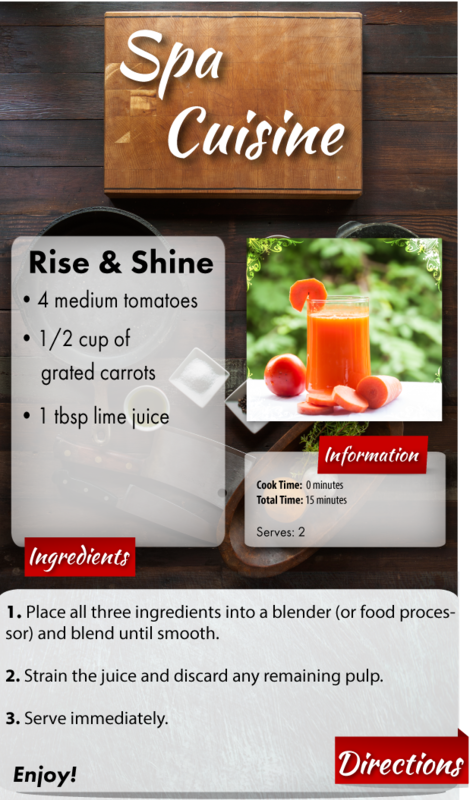 It’s a great tool to load up in the morning and have a dish ready by dinner time! -designate a few plastic bins with labels for seasonal decorations to make decorating a breeze (don’t forget to label the sides of the bins instead of the lid which often is covered up when they are stacked). -designate a day in advance of the holidays to prepare and freeze a few dishes that will save you time during the holidays. If you like to cook, you know the value of having specific items in your pantry. You know what I’m talking about; a variety of spices, vinegars, oils, canned sauces, legumes, beans and condiments that are just waiting to be used in a new recipe or in a weekly favorite. To me, there is comfort in knowing that behind the pantry door, there is always the potential to create a variety healthy and flavorful dishes. I am including my top 20 pantry staples and suggestions on how to use them. I hope you are as excited as I am about what’s in your pantry!!! Cold Pressed Olive Oil – great for cooking, salad dressings or drizzled overtomatoes or fish. Chicken Broth/Stock – Great for sauces, soups, and a perfect substitute as a cooking liquid for vegetables and quinoa.Look for organic and low sodium. Organic Coconut milk – Perfect for curries, sauces and marinades. Low Sodium Soy Sauce – this condiment adds tang and flavor to anything you put it on. Local Honey – great for using in tea, baking or in dressings and sauces.Some honey has antioxidant benefits. Nut Butter – great as a snack on fruit or celery, or added into a smoothie. Almond, cashew and peanut can be found at most stores. Avocado Oil – delicious drizzled on salad greens and great for high temperature cooking! Canned Tuna in Olive Oil or Water – Great go-to protein for salad or in a lettuce wrap.Limit eating it to twice weekly. Organic Maple Syrup – Grade B is darker that grade A and contains more micro-nutrients.Try it drizzled over roasted Brussel Sprouts or Squash. 10. Himalayan Salt- adds a light saltiness to foods and is full of micro-minerals. Chipotles in Adobo – These canned peppers add great flavor to carnitas, soups, salsas and stews. Dried Spices – Unlimited uses for added flavor in food.Many have added health benefits too (cinnamon, turmeric, oregano to name a few). Dried Quinoa – this quick-cooking seed can be used in soups, stews and salads, but don’t forget to eat it for breakfast instead of oatmeal. Balsamic Vinegar – The older the better.Love it in salad dressings and drizzled over tomatoes or other vegetables.Great as a glaze too! Dried Lentils – These powerhouse legumes are rich in protein and a great option for ‘meatless’ meals. Almond Flour – This protein-packed staple can be used to coat chicken or fish or as a crust for a fruit tart. Organic Canned Tomatoes – one of the most versatile ingredients for marinara sauce, curries, soups and more.I use this item weekly. Sriracha Sauce – This spicy condiment brings life to anything it touches, I love it on eggs and in soups! Dijon Mustard – This is my favorite condiment of all!It is a must in salad dressings and I use the grainy version on baked salmon, can’t live without it! Just yesterday we were planning our Fourth of July picnics and in a flash we are starting another year of crazy school schedules and packing school lunches. Let’s not kid ourselves, packing healthy school lunch’s takes work. Speaking from experience (packing lunches for 3 kids over the past 20 years), I have learned a few tricks to make that job easier. Tip #2 – INVOLVE YOUR KIDS. Poll your kids for lists of foods that they would like to eat for lunch. Use grocery shopping as an educational experience, remember if kids see where food comes from and they help pick and prepare it, they are more likely to eat it! Get your kids involved by washing fruits and vegetables (great task for the younger kids) and portioning (counting) things like grapes, raisons, nuts carrot sticks, cherry tomatoes, cheese cubes etc. into containers that can be quickly grabbed from the pantry or fridge and stowed into lunch boxes. Remember to put foods on easy to reach shelves in your fridge and pantry to make them more accessible for kids. Tip #3 KEEP IT SIMPLE- Remember, most kids like things simple including food. Pick a variety of fruits and veggies, proteins and snacks that your child has approved and prepare enough to last the week. Don’t forget that leftovers are golden! Items such as grilled chicken, cooked vegetables, extra pasta or brown rice are great starting points for building school lunches. Combining these foods into bowls or rolling them into tortillas topped with avocado and some dressing can be a nice change from a sandwich. -Kids love notes in their lunches, even a post-it with an encouraging message will make their day. -frozen grapes in a lunch box can double as an ice pack and a cool snack! Enjoy and we hope everyone has a great 1st day back to school!! PS…..this ice cube idea works great with fresh herbs too! Eating Too Much Sugar: Is It Worse Than We Thought? You don’t have to look very far to locate information on sugar consumption in America. Newspapers, magazines, science journals, and medical research regularly contributes alarming statistics on how much sugar we are consuming every day. Should we be worried? – the answer is yes!!! The latest estimates suggest that on average, Americans are consuming 130 lbs. of sugar each year. You may find it difficult to imagine eating that many donuts or chowing down on that many candy bars but the reality is most of us are getting the majority of our daily sugar from beverages. Many of us rely on our ‘favorite’ coffee drink from our ‘favorite’ coffee store to get us going in the morning and are blissfully unaware that at least half of the drinks on the menu exceed 60 grams of sugar!!! How does this stack up against the daily recommendations for sugar consumption??? Well…..many health agencies are recommending no more than 36 grams of sugar per day for men and 24 grams of sugar per day for women. Currently, the average American male consumes 128 grams of sugar per day and women are consuming 88 grams per day. Also, worth mentioning; sugar has no nutritional value, no vitamins, no minerals, no enzymes and no fiber. You may be asking: What exactly is the harm in consuming all of this sugar?? Sugar is addictive and triggers parts of our brains that leaves us wanting more each time we eat it. Excess sugar in the body causes inflammation. Sugar is known to contribute to: obesity, diabetes, high blood pressure, joint pain, headaches, acne and many other health problems. So, the answer to the question in the title of this post is loudly YES, the effects of sugar are worse than we thought and we must make every effort to reduce our sugar intake if we have any hopes of avoiding health problems that could potentially shorten our lives. Good for your bones and so much more! Lately, there has been a great deal of conversation about bone broth. This ‘magic’ elixir has been credited with everything from decreasing the appearance of wrinkles, lubricating our joints, to healing the lining of our guts. Clearly there appears to be multiple benefits to drinking bone broth on a regular basis. So, what exactly are we getting when we drink bone broth? First you have to consider what goes into making bone broth in order to understand where the good stuff comes from. Bone broth is literally made from ‘bones’, along with vegetables, water and salt. So, if bone broth is made from bones then naturally we should not be surprised to learn that bone broth contains calcium, phosphorus and magnesium, all components of bones. Along with those great things, bone broth is also rich in collagen, amino acids, glucosamine, chondroitin and glutathione. This profile of nutrients, vitamins and minerals provides a pretty compelling argument as to why we should consider adding bone broth to our diets. But, it sounds like work to make right? Wrong!! After doing some research I came across numerous recipes for making bone broth in the crockpot!!! I was so excited! No slaving over the stove for hours to cook this wonderful liquid. How did I do it? I saved up a bunch of bones in the freezer from chicken that I had previously cooked, but I didn’t think I had enough for my crockpot, so I roasted off some organic chicken necks and backs in the oven and threw all of the bones (freezer ones too!) into the crockpot with a few veggies and some filtered water and salt – pretty easy so far right?! I turned the pot on low and let it cook overnight. By some wonderful culinary miracle it was ready the next morning and all I had left to do was strain it, cool it and package it up for the freezer!!! Unbelievably easy!!! I really was impressed by how little time and effort it took to create something that is so healthy and good. I would like to add, that in keeping with making healthful decisions concerning food, I recommend using organic ingredients if you are able, that way we are avoiding pesticides and additives that we are trying to keep out of our bodies. So, it’s time to dust off that crockpot and put it to work making some bone broth, you’re going to love it! Refresh and Renew this Spring with Ultherapy! Happy Spring! The weather is great and everything is in bloom! This means summer is just around the corner. There is no better time than now to prepare yourself for the summer months. Who wants to look years younger without going under the knife? We are all looking for a natural, gradual, noticeable result for skin tightening. At Woodlands Wellness this month we would like to focus on our Ultherapy treatment. Ultherapy uses the power of Ultrasound to work deep below the skin’s surface to create new collagen giving you tighter, more refreshed natural looking skin. The Ultherapy® procedure is the only non-surgical, non-invasive treatment that uses ultrasound and the body’s own natural healing process to lift and tighten loose skin on the face, eyebrow, neck, under the chin, and chest. Ultherapy uses the safe, time-tested energy of ultrasound to stimulate the deep structural support layers of the skin—including those typically addressed in a surgical facelift—without disturbing the surface of the skin. This energy triggers a natural response under the skin, jumpstarting the regenerative process that produces fresh, new collagen. Just one single non-invasive Ultherapy® treatment helps counteract the effects of time, gravity, and sun exposure without downtime. What areas can be treated and what kind of results can I expect? Some patients see an initial effect right after their treatment, but the real results appear over 2−3 months as new collagen works to lift and tighten skin. Non-invasive, no downtime, and done in just an hour or two. What’s not to love about our Ultherapy treatment! Beauty is being the best possible version of yourself "beautiful inside and out" so take control of your age and let one of our experts here at Woodlands Wellness consult with you to see if you are a candidate for this amazing treatment! Let Woodlands Wellness take care of your Mother stop by to grab your gift card for Mother’s Day. With the purchase of a gift card $100 or more we will give you a swag bag of goodies for Mom! Book your complimentary consultation today to start your treatment for a younger you! One of the best-kept secrets is lasers! Lasers have been on the market for years but no one really talks about them. At Woodlands Wellness we can help you with a lasting solution to your everday skin concerns. Imagine breaking away from your daily make-up routine? Did you know that 71% of the US population are seeking tone & texture improvement! Woodlands Wellness would like to introduce the Enlighten PICO Genesis laser! The PICO Genesis laser is revolutionizing the market with this breakthrough treatment that is unique for melasma, sun spots, excess pigmentation, and uneven tone and texture. How does the Pico Genesis work? Everyone’s skin contains a substance called melanin. It’s what gives our skin its color. When melanin occurs in high concentrations, it can result in brown spots and uneven skin tone. PICO Genesis uses laser light to selectively shatter unwanted pigmentation and remodel the upper layer of the skin to return balance + clearance + radiance to your skin. A series of two to three PICO Genesis treatments are recommended, and ongoing maintenance treatments are encouraged to sustain results over time. Schedule a complimentary consultation with Woodlands Wellness and our providers will discuss a treatment plan designed for you to achieve an optimal outcome. PICO Genesis treatments are ideal for the face, hands, and other areas of the body with noticeable signs of sun damage and excess pigmentation. More even tone & texture in just a few treatments. The Pico Genesis treatment is a great option for those in the “public eye”, or for those who simply just don’t have the time to take off work. What are you waiting for? Free yourself from concealers, foundations, powders, bronzers and highlighters! At Woodlands Wellness, we are ready to help you look and feel your best! Book your complimentary consultation today to start your treatments for a more confident you! What you once LOVED……..Doesn’t have to last forever. Did your tattoo seem attractive in your 20s but not so attractive today? Or is your tattoo a permanent reminder of what was just a temporary feeling? You are not alone, did you know there are more than 5 in 6 Americans that have tattoo regret! Woodlands Wellness has the most advanced laser technology in the market so let our expert Medical Laser Aestheticians help you remove that unwanted tattoo. Tattoos are removed by lasers that emit short pulses of intense light that pass through the top layers of the skin to where the ink is located. The light breaks the ink into tiny, dust-like particles that are readily absorbed by your body, and eliminated through its natural processes. Most of our patients experience redness and swelling immediately following the treatment. These side effects are temporary and patients can return to regular activities following the treatment. Most tattoos require several treatments for effective removal, depending on a number of different factors including your age, your tattoo’s age and location, quality of ink, ink colors, your skin color, location of your tattoo and overall health. On average, a patient will need between 3 and 6 treatments for complete removal of all ink colors. What are the advantages of the Enlighten Laser? Enlighten is the world’s first dual wavelength and dual pulse duration technology for tattoo removal, pigment, and skin revitalization. It uses a much faster, more advanced, cutting edge technology called Pico technology which delivers greater laser energy at an incredible speed of trillionth of a second; 1000x faster than Nano-technology. Depending on the ink colors and the size of the tattoo, it normally requires only 1/2 the amount of treatments with the Enlighten Laser. The Enlighten Laser's picotechnology generates heat 1000x faster, separating tattoo pigment into much smaller Unwanted tattoos could now truly be removed more efficiently with less chance of scarring, less pain and shorter recovery time. That change of heart, or feeling of regret, is the #1 reason why people seek tattoo removal. Fortunately, de-inking has progressed to a much faster, safe and effective method. Finally, your unforgettable tattoo can be forgotten with our most advanced laser tattoo removal technology! Book your complimentary consultation today to start your treatments for that unwanted tattoo. Instead of an article this month Woodlands Wellness wanted to focus on getting the word out for our 12th Annual Open House. Save the date February 9th we will have 2 sessions 10am-2pm and 5pm-7pm. It's a great time to take advantage of exclusive savings! Mark your calendars and plan on joining in the FUN! Woodlands Wellness is excited to introduce a new genetic testing to our practice called the Nutrigenomic Test. This amazing test will be able to take the guesswork out of your health and tell you your genetic weaknesses. One of the many reasons I decided to incorporate this testing in my practice is the impact that genetic testing could have on improving symptoms associated with fatigue, ADD, depression anxiety and other chronic diseases. Dr. Kendall Stewart who serves as the Chief Science Officer for Genomic Nutrition has revolutionized our ability to diagnose and treat genetic mutations which can impact our everyday life immensely! What is the Nutrigenomic test? Nutrigenomics is the scientific study that uses modern genomics technology to study the relationship between genes, nutrition and health. Effective nutritional delivery to function properly every day! Genetic testing will help you find the correct form of the nutrient that your body needs to carry out the cellular function required for optimal delivery. Do you know what nutritional supplements work best for you? Are you spending money on the wrong supplements? Is your body delivering, processing and transporting the correct nutritional elements in your body? Fact is that more than 75% of all patients have significant genetic variations in the most important nutritional metabolism pathways. It is apparent that some people respond differently from others to certain nutritional elements. Nutrigenomics allows us to understand how our genes affect the way we respond to nutrition and helps us determine what types of nutritional supplements should benefit your genetic make-up. In order to make sure the supplements you are taking are effective is why it is important for you to have this test. To learn what nutrients your genes, require and need for optimal functioning and health in a simple test that requires swabbing the inside of your cheek with a soft bristled swab. The inside of your cheek provides the advanced technological lab the adequate amount of DNA to carefully access your genes and receive a complete panel. At Woodlands Wellness, our providers are ready to evaluate your genetic health and find the right supplementation that is most effective for your genetic make-up. Let us improve your quality of life! Call to schedule your consultation today Woodlands Wellness is ready to get you back to feeling your best! Holiday time is around the corner and we want to make sure you are ready! Holidays are the perfect time to capture moments you will treasure forever so make sure you have the picture perfect glow to look and feel your best. What are some things I can do to give my skin that holiday glow? Start early-Begin to prepare and set aside the time needed to correct any skin care needs. Choose a medical grade skin care product line that best meets the needs of your skin type. Choose one or two skin care treatments that will exfoliate, hydrate and correct to give you that holiday glow. Maintain your skin care regimen, push thru and don’t give up, remember aging did not happen overnight. What treatments are best to give that holiday glow? Chemical Peels- Peels are used to smooth and tone the skin for a more youthful appearance. Chemical peels will also assist with skin rejuvenation to decrease sunspots and pores, acne, and wrinkles. Glowbiotics Facial- Excellent for hydration and glowing skin. Powered by Probiotics, key- antioxidants, micronutrients, peptides, fatty acids, and more. With the help of gene testing, products activate healthy cellular activity to quickly deliver youthful results. Just like Probiotics rebuild our immunity on the inside, their skin-enhancing molecules actually boost immunity on the outside, targeting each layer of the skin for the highest levels of prevention, repair and protection. Skin Pen Treatment- The Next Advancement in Micro-Therapy SkinPen is a medical grade, state-of-the-art microneedling device designed to reverse years of sun damage, improve the appearance of scars, stretch marks, and hyperpigmentation as well as enhance the overall appearance of aging skin. Botox and Dermal Fillers-Injectables can smooth appearance and decrease those unwanted wrinkles and creases. To have a refreshed, restored, more youthful appearance injectables are a quick and easy treatment. What are some suggestions when it comes to make-up? The goal is to have products that look and feel good as well as great for the skin. Jane Iredale products are easy to apply, and multi-functional so that a woman can be her best in the shortest amount of time. Jane Iredale Mineral powders are a foundation, powder, concealer and sunscreen all in one. Tinted Moisturizer, Mineral Powder, Pure Lash Lengthening Mascara, Lip and cheek stain, pure gloss to finish off those amazing lips. Last but not least the Golden Shimmer face and body lotion will give you a nice glow. To set the whole look you must have a hydration spray which will keep your make up set for your holiday event. Jane Iredale products are available for purchase at Woodlands Wellness! Join us for our Fall into Holiday Ready event October 13th from 1-7pm! Cheers to health, wellness & beauty! New Treatment to Eliminate Your Double Chin! The #1 non-invasive fat reduction treatment can now treat under the chin. Results in just 1-2 visits. Requires no needles, surgery, or downtime. Shape What you See without Surgery or Downtime! The CoolSculpting procedure is the only FDA-cleared, non-surgical fat reduction treatment that uses controlled cooling to eliminate stubborn fat that resists all efforts through diet and exercise. The results are proven, and noticeable, so you'll look great from every angle. CoolSculpting technology safely delivers precisely controlled cooling to gently and effectively target the fat cells underneath the skin. The treated fat cells are crystallized (frozen), then die. Over time, your body naturally processes the fat and eliminates these dead cells, leaving a more sculpted you. Woodlands Wellness now offers the CIMT (CIMT stands for Carotid intima media thickness and refers to the thickness of the inner layers of the artery.) test which is recommended by both American Heart Association and American College of Cardiology. What is the cardio health test? The cardio health test is an ultrasound imaging study of the carotid arteries that is performed on both sides of your neck. Using a handheld ultrasound probe, we scan the carotid arteries in the neck to detect hidden plaque buildup and increased thickness of the artery wall. The entire test is painless and there is no exposure to dangerous radiation. What is Plaque and why is early detection important? Plaque is a fatty buildup within the wall of an artery and is the result of a disease process called atherosclerosis. A plaque develops within the intima layer of the artery at a location where it has been damaged. During the process, white blood cells enter the artery wall and begin to accumulate fat and cholesterol, creating fatty (foam) cells. Over time, this fatty plaque buildup forms a lump that doctors call an atheroma. This fatty plaque may grow larger as muscle cells, fibers, calcium and cell debris are deposited. An early sign of plaque formation is a thickening of the arterial wall. As plaques continue to grow in size, they begin to bulge into the lumen of the artery and produce no symptoms until they rupture. Plaques are prone to rupture and clotting, which may further limit the blood flow through the lumen or lead to other serious conditions, such as heart attack and stroke. These plaques can remain hidden for many years without causing pain or any symptoms. Unfortunately, in many people, the first symptom of these "hidden" plaques is a heart attack, stroke or sudden cardiac death. Early detection is important to help prevent long term medical conditions. What else does this test look for? In addition to looking for the presence of plaque, we will be looking for increase in cardio wall thickness. The inner wall of the carotid artery has two layers, the intima and the media. The measurement of artery wall thickness is known as carotic intima-media thickness or CIMT. Increased CIMT indicates the presence of atherosclerosis, and is a strong predictor of future cardiovascular events, such as heart attack and stroke, the middle-aged and older individuals. It shows any blockage found in your arteries. Woodlands Wellness also offers a full cardiac wellness package available to you now! Woodlands Wellness also offers a full cardiac wellness package available to you now! Early detection allows you to start an early treatment plan before symptoms develop.